Duke Centennial Hall (DCH) is the home of the Mechanical Engineering and Engineering Science Department. 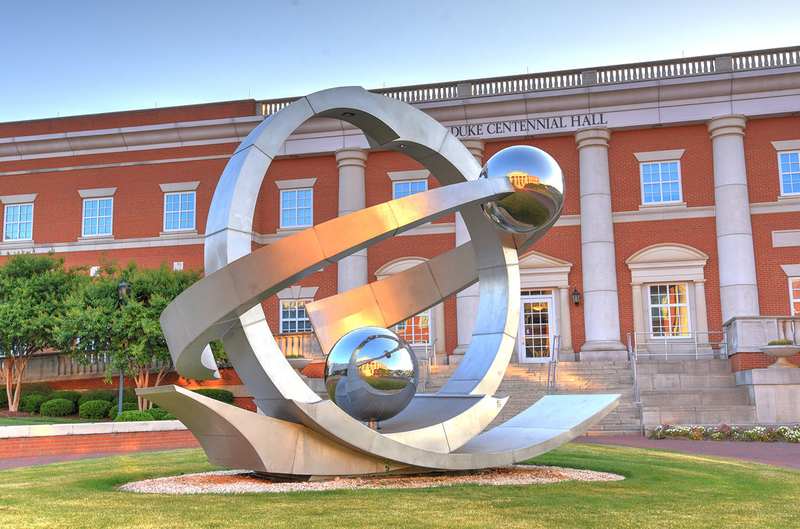 Built to embody The William States Lee College of Engineering's philosophy of a hands-on design-based educational experience, these world-class facilities allow us to make this philosophy a reality. The 107,000-square-foot building contains state-of-the art classrooms, lecture halls, laboratories, machine shops, computer labs, and computational and modeling facilities. Adjacent to DCH, is the 5,000 square-foot Motorsports labs, which now houses the newly constructed water tunnel ranked 5th in the nation. In addition to facilities in DCH, our department's bioengineering researchers also have laboratories within Woodward Hall. The faculty of our Department are experts in their fields and internationally known. Our educational programs are nationally recognized and feature a multidisciplinary approach to research. We offer an undergraduate program that leads to a Bachelor of Science degree in Mechanical Engineering (B.S.M.E. ); and this degree is also offered with a concentration in Motorsports. Our Graduate Programs lead to a Master of Science in Mechanical Engineering (M.S.M.E. ), Master of Science in Engineering (M.S.E. ), and Doctor of Philosophy (Ph.D.) degrees. The career paths of our mechanical engineering graduates lead in many directions--including design, analysis, construction, research, education, judicial, and management. Our goal is to give our graduates the fundamentals they need to apply their mechanical engineering knowledge to succeed in the application of their choice. Welcome to our Departmental website. We encourage you to spend a moment exploring and learning about the wonderful opportunities for education and research existing within the Department of Mechanical Engineering and Engineering Science. Explore the Lee College of Engineering's six academic buildings and one residence hall in this virtual tour.